Bullet Strike is the “battle royale” of snipers. 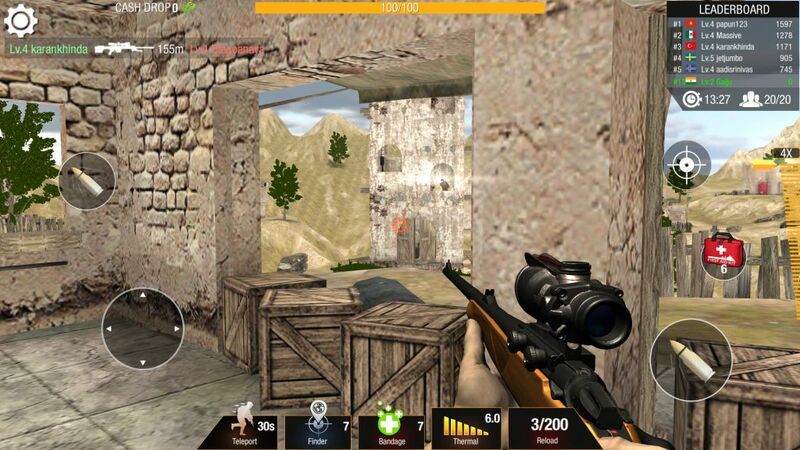 Instead of running, gunning and hiding, you will play the role of the silent sharpshooter. 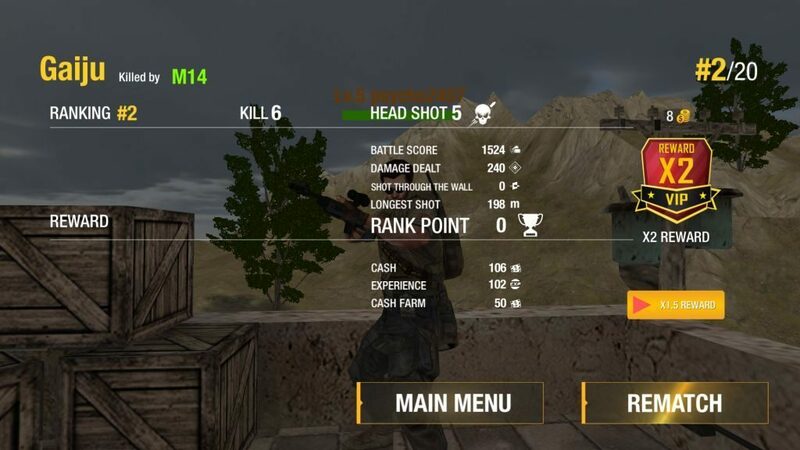 The game will pit you against several deadly marksmen and your goal is to be the last man standing to earn cash and XP. You will be dropped in a building, your “sniper nest”, where you can spot opponents and take them down one by one using your rifle. Developed by Horus entertainment, Sniper Battlegrounds lets you participate in PvE and PVP multiplayer matches. A PvP multiplayer match is pretty tough, as the game will force you to move to a building’s terrace. You will be electrocuted if you stay in the basement. PvE/quest mode is simple. You will be pitted against 20 players and you will have the freedom to move around and choose a proper location to eliminate enemies. If you have just started playing PvE battles, then you will find these tips and tricks quite handy. You can also check out our gameplay video to know how to play Sniper Battlegrounds. You are a sitting duck if you shoot enemies from the terrace. While you will get a clear view of your surroundings and spot enemies faster, keep in mind that your enemies will also spot you easily. As a sniper, you would want to see enemy movement, but at the same time do not want to be seen by them. You should consider taking a position where you are hidden from enemy sight. You can take a safe position from ground level and shoot from a window. However, chances of a window just behind you are more at the ground level, and you might be killed if a bullet zips through it. Keep moving from one window to another and find a place where you will be least noticed by your enemies. While the “Finder” booster lets you find and mark all enemies (they will be revealed by an orange exclamation mark above them), there’s another way to spot them from a considerable distance. 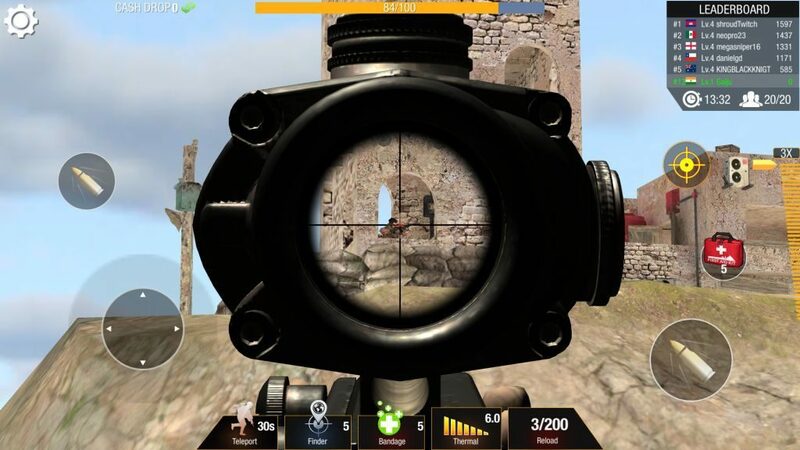 You can ascertain a sniper’s location by his rifle’s “scope glint”, which is a bright glare that can be seen when you are in the direct line of fire. You can easily spot the glare without bringing out your rifle’s scope. Just keep looking for that glint out of your building’s window and then tap the scope icon when you spot one to take out the enemy. Don’t be in the same place when your enemy hits you. Keep moving to confuse him. He might lose interest in you and target some other sniper after some time. If there are more floors in a building move up and then down or move to another window. You can’t take a risk and be in the same position to attack him if your health is below 50 percent after taking bullet damage. Also, a headshot would lead to instant death. Move away from a window or move to another one, making sure that the one you just left isn’t opposite of that window. While sniping down opponents, you may have noticed certain symbols, such as red plus signs, dollar symbols and blue colored “finders” floating in the sky. They usually float upwards until they disappear. Shoot them down before anyone else does to acquire boosters. You will gain some health if you shoot the red plus symbol (health pack). You will locate all snipers’ position for a few seconds if you hit the blue finder symbol and get bonus cash if you shoot down the dollar sign. The dollar symbol appears more number of times when players kill more enemies. The health pack can be of immense help if your HP is low so keep an eye on those plus symbols and quickly hit them to get HP. In Bullet Strike Sniper Battlegrounds, the cash you receive from PvP battles can be used to upgrade your rifle. On your home screen, tap “Arsenal” and then tap your weapon if you want to increase its stats. You can increase all three stats under “body upgrade”. These are Damage, Stability and Accuracy. You will have to spend cash or gold to enhance stats. 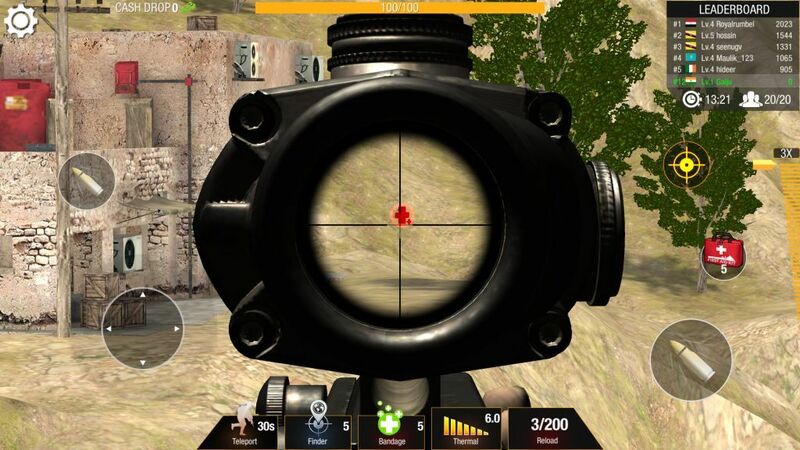 You can also spend cash to upgrade your scope to increase max zoom so that you can easily spot enemies from a distance. A magazine upgrade would result into more shots before reloading. Under magazine upgrade, you will be able to level up both magazine and reload time. Upgrading the latter will reduce reload time. You will receive cash based on your ranking in a match. The higher your rank, the more cash you will receive. You can double your rewards by watching a 30-second video after the battle ends. You will also receive bonus cash if you complete certain in-battle quests, such as killing a certain number of enemies in a single battle etc. You can complete such missions when you take up the “PvE and Quest” game mode. There are three types of quests: Main, Sub and Daily. Under Main, you will not only be receiving lots of cash, but also get weapons and gold. Sub quests are easy to complete and you will receive up to 1000 cash or more if you complete simple missions while playing. Daily quests change every 24 hours and are very easy to complete. You can access a list of missions by tapping the “Quest” icon on your home screen. If you feel you are being attacked and bullets are zipping past your ear (yes you can hear that) and feel unsafe or don’t like the current structure where you have been just dropped, tap the “Teleport” button to move to a different building. Teleport has a cooldown time to 30 seconds, so you can’t teleport until thirty seconds are over. When a soldier’s power is gone why are they still alive? You should explain the method of horizon approach. While moving with scope as viewer. Zooming in and out will affect how much you can see when looking for movement. Always begin by eliminating targets furthest from your building. Also when you find a sweet spot just stay in it for the allotted game time. Moving around will only get you terminated.